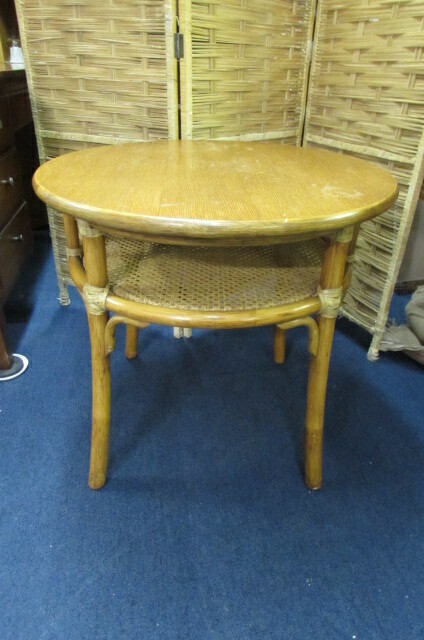 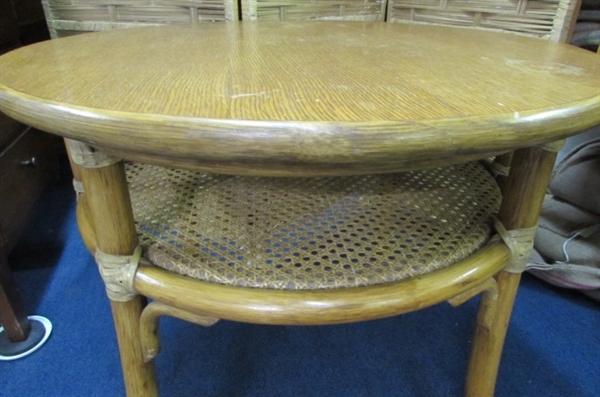 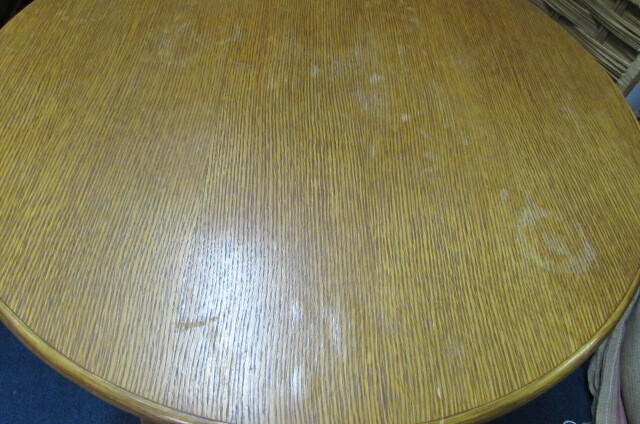 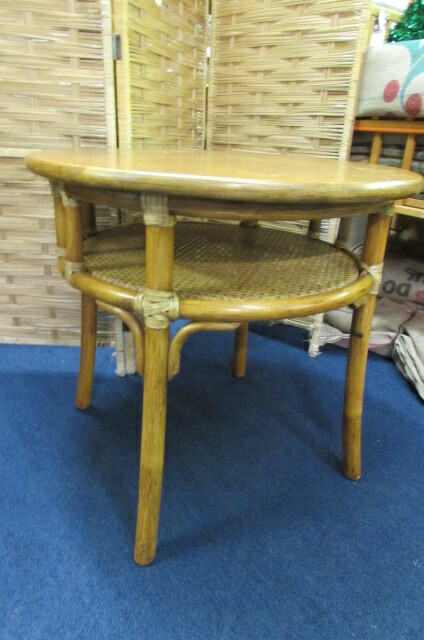 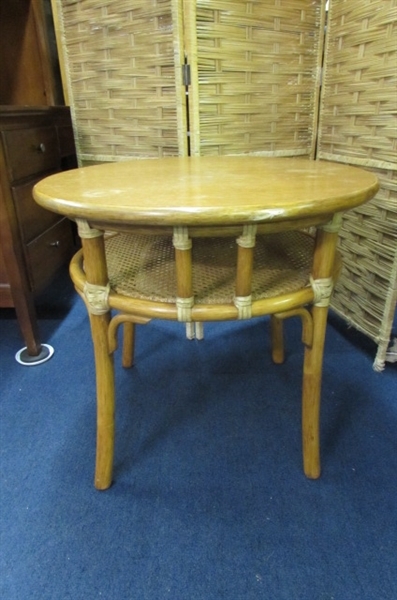 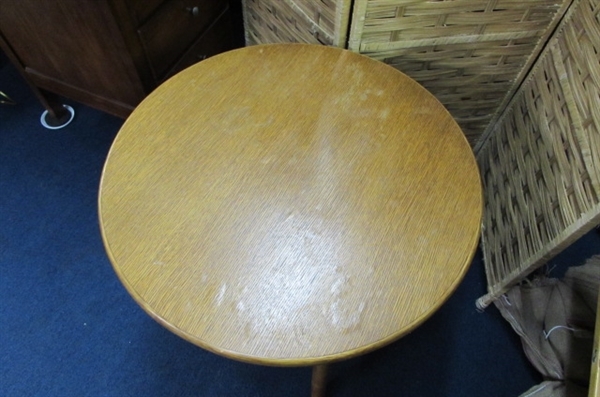 Small round bamboo and caned table. 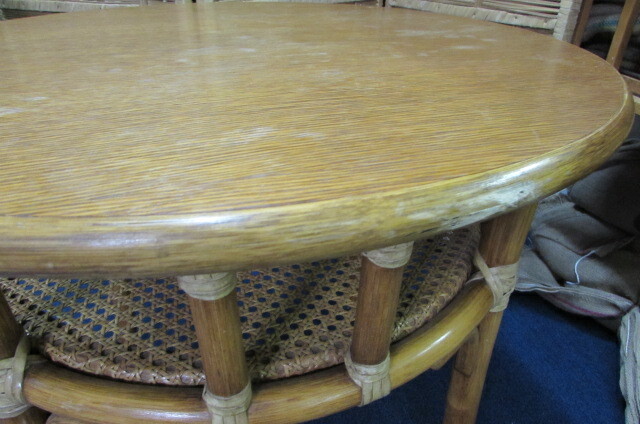 It has some warped spots on the top. 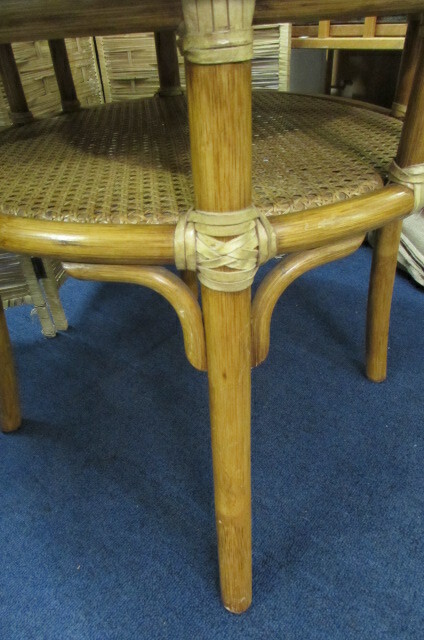 Caned shelf underneath and legs have a wrapped look around legs. It is 27" in diameter and 24.5"H.